Lake Parsippany is a member of Hub Lakes which is an association of 12 lakes that oversees intramural sports. Hub Lakes members include - Lake Arrowhead, Cedar Lake, Estling Lake, Indian Lake, Lake Intervale, Mountain Lakes, Lake Parsippany, Rainbow Lakes, RockRidge Community Club, Lake Telemark, Lake Valhalla and White Meadow Lake. Hub Lakes encourages a sense of community between lakes by mixing competition with friendship. The League offers a range of sports that appeal to the diverse range of interests represented by each lake's membership. 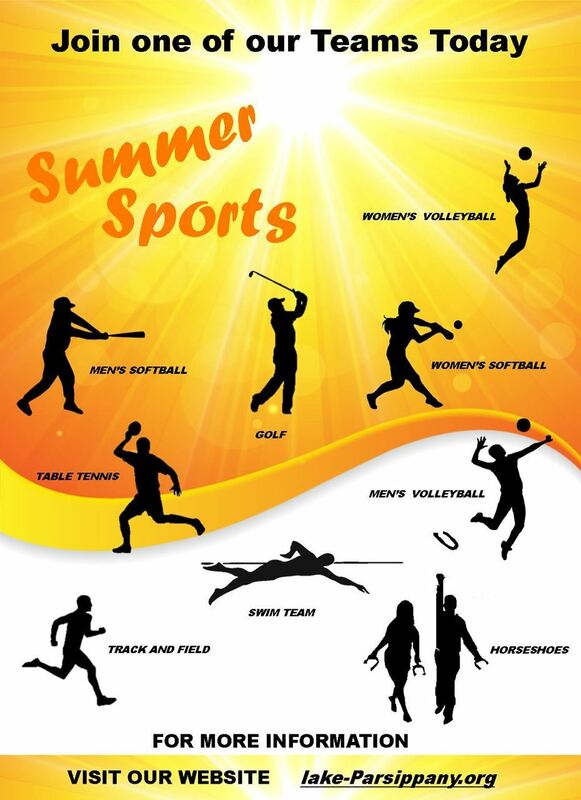 Lake Parsippany fields teams in a Co-ed Bowling tournament, Men's Golf tournament, Men's Horseshoes, Men's Softball, Mens & Women's Volleyball, Co-ed Table Tennis (for all ages) and Co-ed Track (for all ages). Participation requires a valid L.P.P.O.A. Membership and that you live within Lake Parsippany's boundaries (as defined by the Hub Lakes League) to represent Lake Parsippany in a Hub Lakes sport (see map). If you have any questions, the Hub Lakes Representative for Lake Parsippany is Randy Vyskocil. To learn more, visit the Hub Lakes website. Women’s Volleyball – this team is in need of a coach and participants. The women’s team had played up until 2017. Women’s Softball – Lake Parsippany has been invited to combine with Rainbow Lakes.